The ASEE Go Global Pavilion, presented by Autodesk at the Exhibit Hall on Monday, June 15, is back by popular demand. Highlighting ASEE’s expanding international activities and global initiatives of ASEE corporate partners Autodesk, HP, Quanser, and National Instruments, the pavilion offers a prime opportunity to expand your knowledge of engineering education’s impact on the global economy, experience different cultures and teaching techniques, share best practices, participate in interactive presentations, and more. Activities, appetizers, and drinks, are free but ticketed, and space is limited. Please stop by the pavilion during exhibit-hall hours to reserve your spot. Hewlett-Packard 11:00 a.m. to 11:45 a.m.
Autodesk 12:00 Noon to 12:45 p.m.
National Instruments 1:00 p.m. to 1:45 p.m.
Quanser 2:00 p.m. to 2:45 p.m.
Autodesk 3:30 p.m. to 4:15 p.m.
ASEE will also be sharing exciting new initiatives of its K-12 focused Engineering Go For It brand. Come learn about the expanded eGFI platform launching in September 2009, to include the fourth edition of the eGFI print magazine, a new interactive eGFI Web site, and an e-newsletter for teachers. Keep an eye out for ASEE’s robotic car, which will rove the exhibit hall floor with helpful information on the Global and K-12 pavilions. 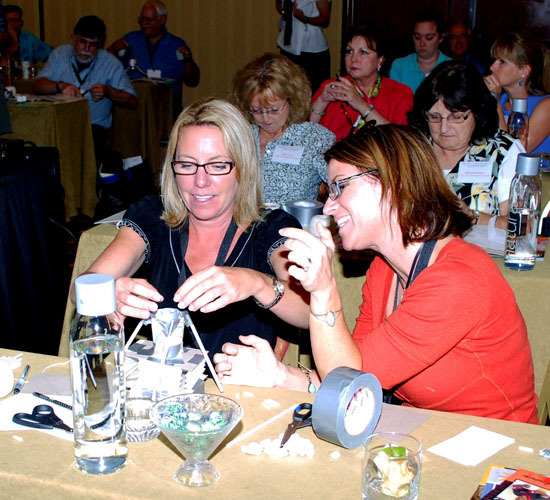 Today’s highlight was the 6th annual ASEE workshop on K-12 engineering education presented by Dassault Systèmes free of charge for K-12 educators. 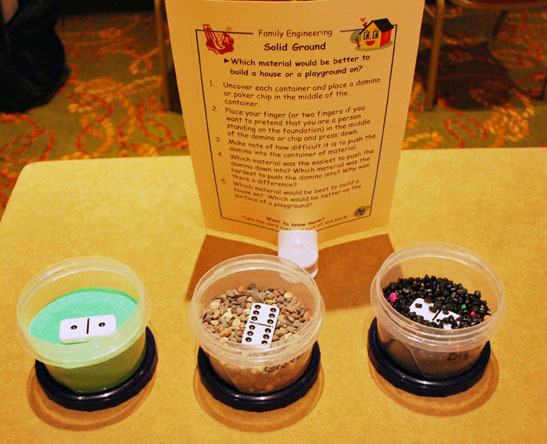 The daylong series of interactive workshop sessions introduced Austin-area K-12 teachers and engineering educators to effective, innovative engineering education resources designed for the K-12 classroom. The event’s keynote speaker, Xavier Fouger, Dassault’s Director of Global Learning & PLM Academy, spoke on the workshop’s theme, “Engineering Change in K-12 STEM Education,” and received an award of appreciation from ASEE for his generous support of the ASEE K-12 workshop. K-12 Educators! Stay with us for more workshops, panels, and sessions at the Annual Conference and Exhibition, Sun.-Wed., June 14-17. Check out the many events, including an autonomous robot competition, the PBS Design Squad session, and the ASEE K-12 Pavilion. Learn about funding and professional development opportunities, supporting girls and minorities in STEM education, hands-on projects, and thinking, reading, and engineering at the elementary-school level. 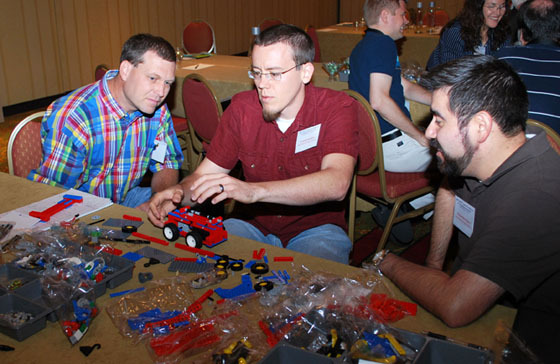 The 19th Annual National Effective Teaching Institute (NETI) workshop, sponsored by ASEE’s Educational Research and Methods and Chemical Engineering Divisions, met June 11-13 to provide college faculty with information and hands-on practice in effective teaching. Sunday marks the official opening of the conference for attendees, exhibitors, and presenters, with registration from 8:00 a.m. – 6:00 p.m. in the Austin Convention Center Exhibit Hall 4. Registration lines can be long, so please give yourself ample time before sessions begin. For questions on the conference program, scheduling, and other non-registration matters, please consult the conference staff at the information kiosk, located near the registration desk, Exhibit Hall 4. The Projects staff at the ASEE booth in the Exhibit Hall can provide the latest information on fellowships and scholarships administered by the Society. Learn about millions of dollars’ worth of programs for faculty, post-doctoral researchers, graduates, and interns sponsored by the U.S. Navy, National Science Foundation and Department of Defense. 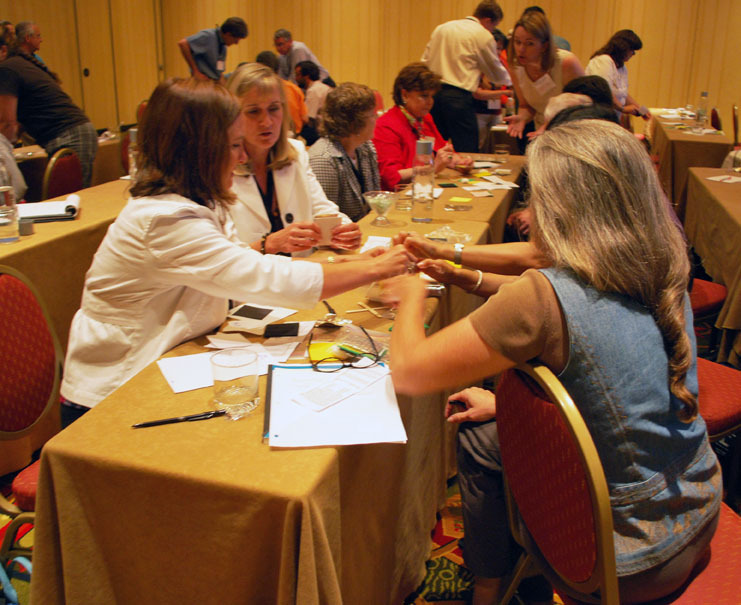 Be sure to attend the ASEE Educational Funding Workshop, Sunday 2:00 p.m. – 5:00 p.m. Austin Convention Center, 9A. Also in the Exhibit Hall, take a look at the 2009 ASEE Two-year College student-designed, student-built robots. 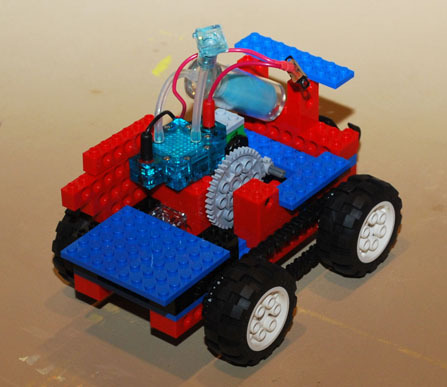 The students give their presentation on their ‘bots on Monday, June 15, 7:00 – 8:15, at the Austin Convention Center, 18A. In the afternoon, 2:15 – 4:00 p.m., don’t miss the Student Robot Competition in the Exhibit Hall, sponsored by the Two-year College Division. The Speaker Ready Room provides a dedicated quiet space for presenters to prepare their materials. Sunday, Noon – 5 p.m.; Monday – Wednesday, 8:30 – 5 p.m. Austin Convention Center, ML-2. Internet not provided. 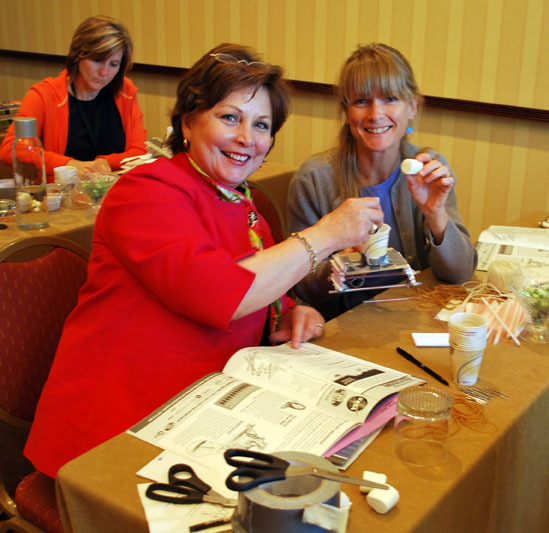 More than a dozen workshops scheduled for Sunday cover a range of topics, including biomedical curricula, the “blended engineer classroom,” girls’ education, and the PBS Design Squad. Most are ticketed events, so be sure to check on registration and costs. Join the ASEE Funding Workshop to learn about DoD, NASA, and NSF grant opportunities. The ASME Mechanical Engineering Department Heads Committee tours the University of Texas-Austin Mechanical Engineering facilities, afterwards enjoying a hosted luncheon. Attendees should catch the 9:30 a.m. bus on the corner of 4th and Trinity Streets outside the Convention Center. 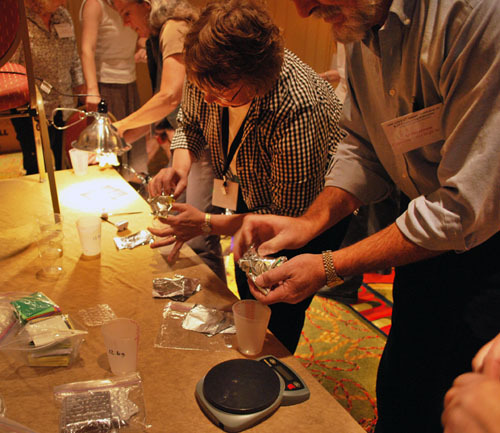 For the titles, times and locations of workshops, visit the online session locator at: www.asee.org/osl. You can build an individual matrix or use a keyword search to find topics of interest. ASEE Educational Funding Workshop 2:00 p.m.- 5:00 p.m. Austin Convention Center, 9A. FREE. This workshop highlights government-sponsored funding opportunities from the DoD, NASA, and NSF, administered by ASEE at the high-school, undergraduate, graduate, postdoctoral, and faculty levels. Faculty and students will learn how to become more successful with award applications and bring additional funding and prestige to their institutions. Engineering Recruitment and Retention STEP Workshop 2:00 p.m. – 5:00 p.m. Austin Convention Center, 16A. Minorities in Engineering Division. FREE, Ticketed. NSF STEM Talent Expansion Program (STEP) teams are invited to join this discussion and networking session. NASA’s System Engineering Educational Directive (SEED) Program 2:00 p.m. – 5:00 p.m. Austin Convention Center, 17B. FREE, ticketed. The workshop explores ways to use current agency programs to enhance NASA’s capabilities in systems engineering and lay foundations for future systems engineering experts. It focuses upon program components, on-line undergraduate systems engineering curricula, and how NASA can work with faculty to promote systems engineering. Achieving Consensus on a Core Body of Knowledge in Biomedical Engineering Education 9:00 a.m. – 5:00 p.m. Biomedical Engineering Building at the University of Texas-Austin. $25 advanced, $35 on-site. Building on previous summits, this off-site meeting explores the core body of knowledge (BOK) undergraduate biomedical engineering students should possess upon graduation. Representatives from all undergraduate BME and bioengineering programs are encouraged to attend. How to Improve Teaching and Learning: Selecting, Implementing, and Evaluating Digital Resources 9:00 a.m. – Noon. Austin Convention Center, 10B. Moderator: Joseph Tront, Virginia Tech. $40 advanced, $50 on-site. Using the 10,000 educational resources cataloged in the Engineering Pathway digital library (www.engineeringpathway.org), this workshop identifies tools to help faculty achieve their teaching and learning goals. Engineer Your Life: Talking to Girls About Engineering 2:00 p.m. – 5:00 p.m. Austin Convention Center, 15. Women in Engineering Division. $25 advanced, $35 on-site. 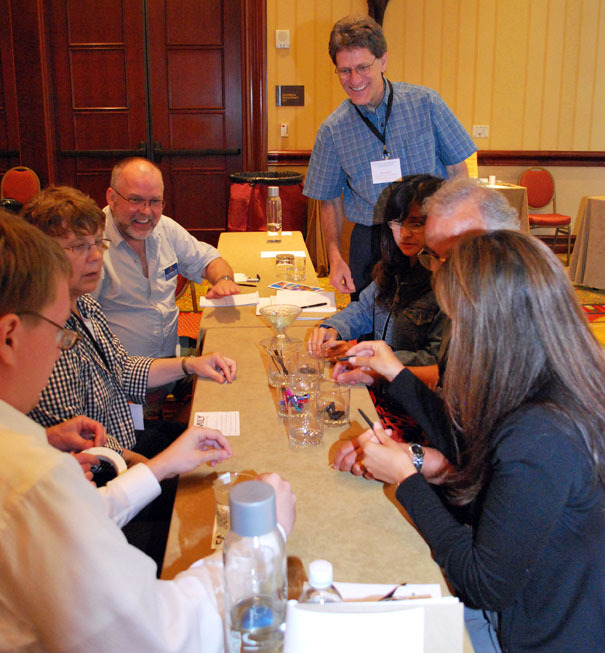 Participants learn how to communicate engineering more effectively, using resources from the national campaign Engineer Your Life. 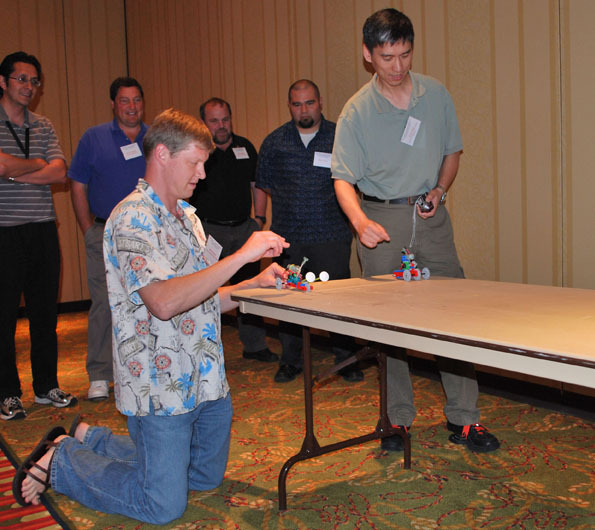 Creating an Engineering Course for Non-engineers 2:00 p.m. – 5:00 p.m. Austin Convention Center, 16B. $25 advanced, $35 on-site; Failure Case Studies in the Civil Engineering and Engineering Mechanics Curriculum 2:00 p.m. – 5:00 p.m. Austin Convention Center, 9B. $25 advanced, $35 on-site; FREE (Foundations of Research Ethics for Engineers): Guiding Engineering Graduate Students in Responsible Research 2:00 p.m. – 5:00 p.m. Austin Convention Center, 17A. $35 advanced, $45 on-site. ASEE 2008 – 2009 Board of Directors Meeting 10:00 a.m. – 4:00 p.m. Hilton Austin Hotel, Salon A. 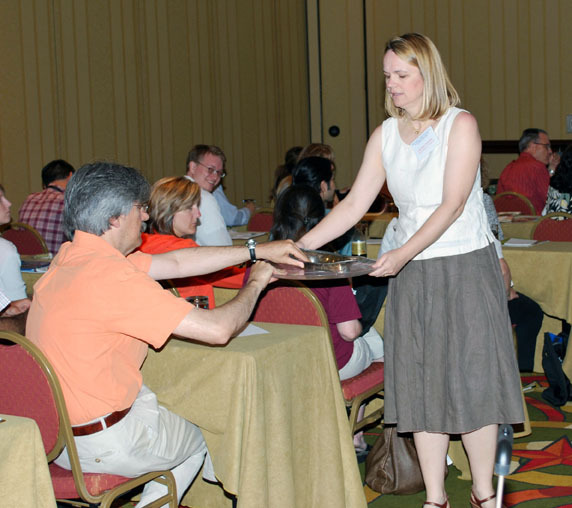 Associate Deans Meeting 10:00 a.m. – 3:00 p.m. Austin Convention Center 5A. Meet your colleagues and share experiences in an informal setting. Tickets $35 pre-reg., $45 on-site. Greet the Stars First Timers Orientation, sponsored by Oracle Crystal Ball. 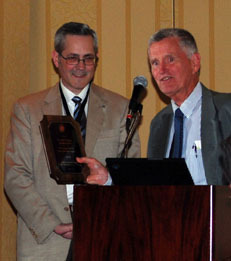 4:30 – 6:00 p.m. Hilton Austin Hotel, Salon D. Moderator: Tom Roberts, Kansas State University. New ASEE members and first-time attendees will gain an overview of the conference and ASEE from the Society’s president and other leaders. All are welcome. ASEE Picnic: Texas BBQ, presented by National Instruments. 6:00 p.m. – 9:00 p.m. Stubbs BBQ Restaurant, 801 Red River St. Join friends and colleagues to kick off the annual conference in style. Tickets $35 pre-reg., $45 on-site. ASEE would like to thank our sponsors for their generous support of the 2009 ASEE Annual Conference. ASEE is proud to recognize the commitment of these innovative companies in pursuit of a shared vision to promote excellence in engineering and technology education. 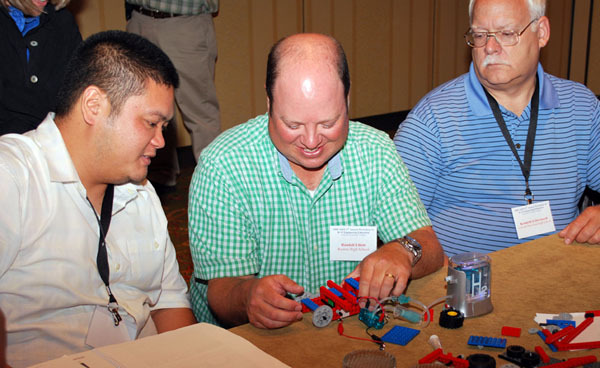 “With such strong corporate sponsorship, ASEE is able to fulfill its mission and vision in furthering education in engineering and engineering technology,” says ASEE Executive Director, Frank L. Huband. This entry was posted on Friday, June 12th, 2009 at 10:15 pm	and is filed under Uncategorized. You can follow any responses to this entry through the RSS 2.0 feed. Both comments and pings are currently closed.